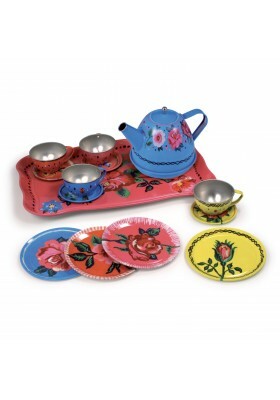 A teapot, four metal cups with saucers, four plates and a tray, comes in a suitcase. With illustrations by Nathalie Lété. 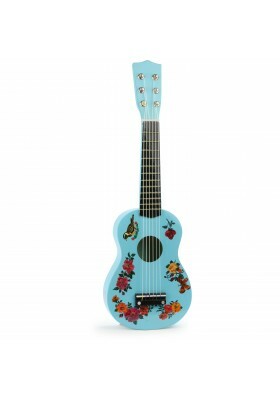 Wooden Guitar with six real strings, decorated with illustrations by Nathalie Lété. 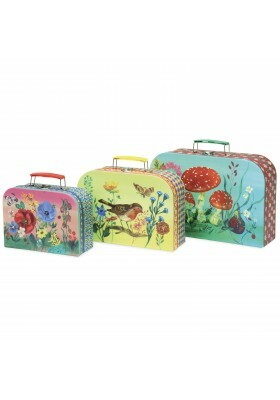 Children can improve their musical skills and compose lovely tunes. Guitar with 6 real nylon strings. Sold with plectrum and one spare string. 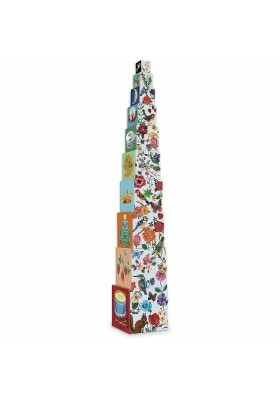 Superb set of traditional wooden games with illustrations by Nathalie Lété. 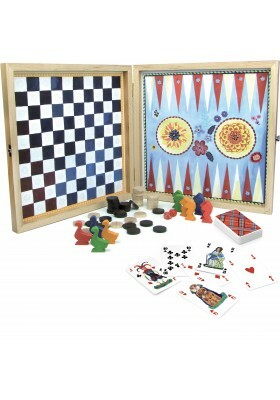 Game of Draughts, Ludo, Backgammon, Goose Game and a deck of cards. Made in France. 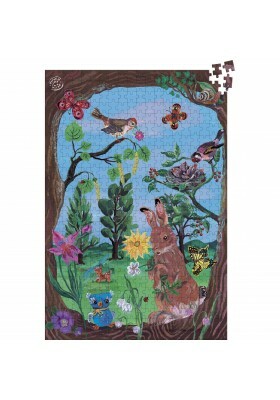 Superb Wooden Piano with eighteen keys, decorated with bucolic illustrations by Nathalie Lété. 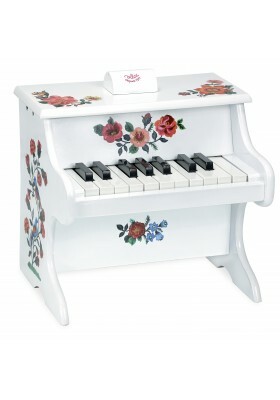 Sold with ten sheets of music to learn how to tickle the ivories. 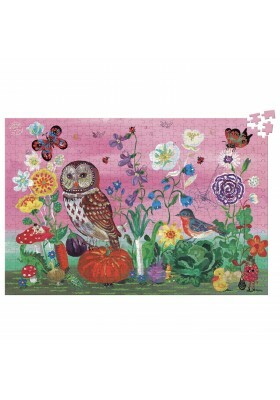 Vegetable garden" puzzle by Nathalie Lété (500 pcs)"
This 500 piece cardboard puzzle is decorated with lovely bucolic illustrations by Nathalie Lété. 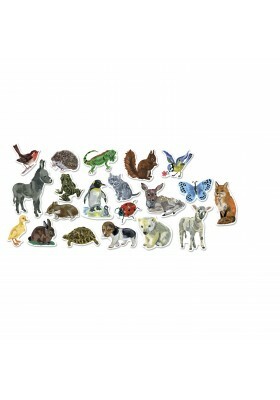 In the wood" Puzzle by Nathalie Lété (500 pcs)"
500 piece cardboard puzzle decorated with illustrations on forest animals by Nathalie Lété. 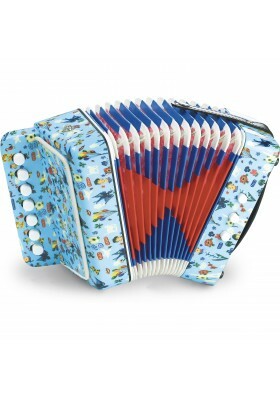 Superb accordion decorated with illustrations by Nathalie Lété for children to discover the magic of music.